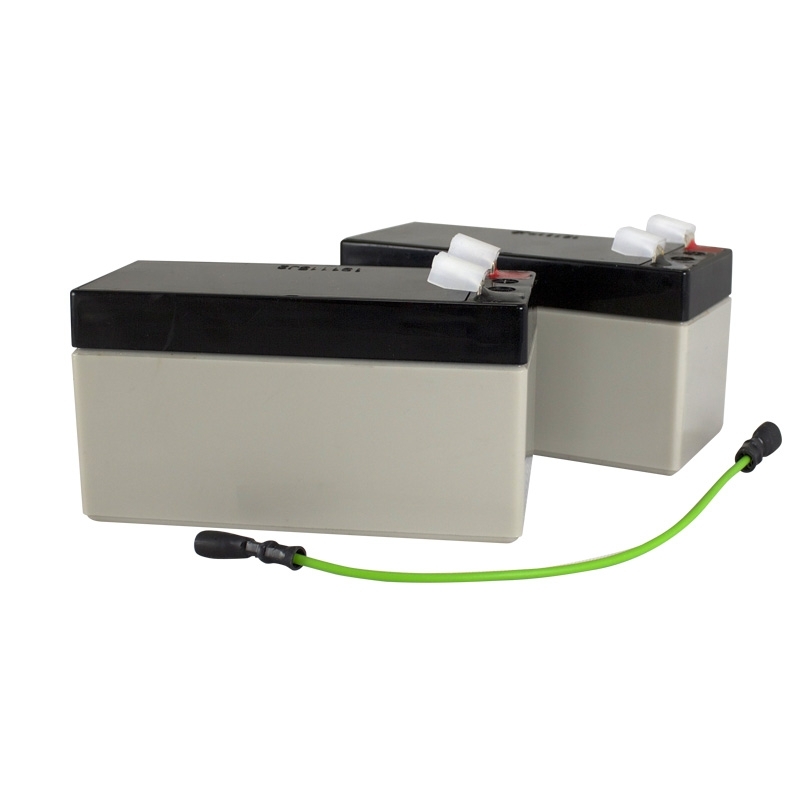 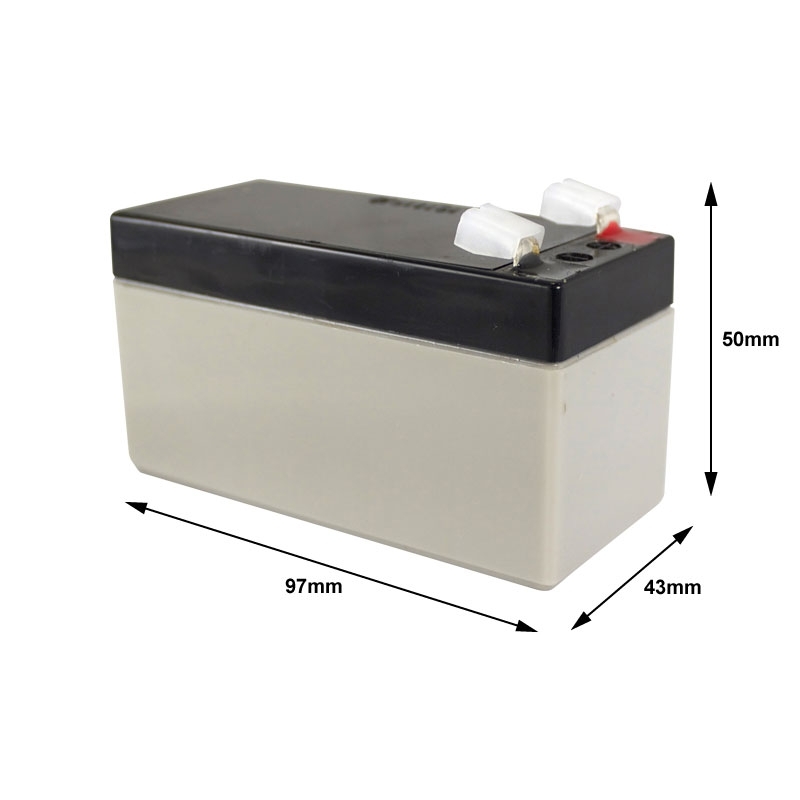 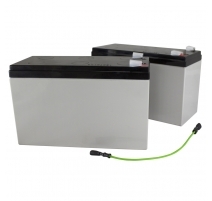 A high-quality 24V 1.2Ah Valve Regulated Sealed Lead Acid battery pack. 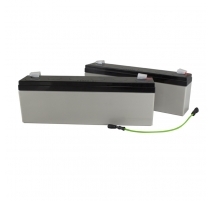 Each battery measures 97 W x 50 H x 43 D mm. 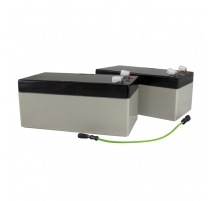 Product dimensions (mm) 97 W x 50 H x 43 D mm (height measurement includes terminals).